I’m bored of politics and sick of Trump memes and Big Ben Bongs so it’s all about design and illustration in this week’s Postcard. 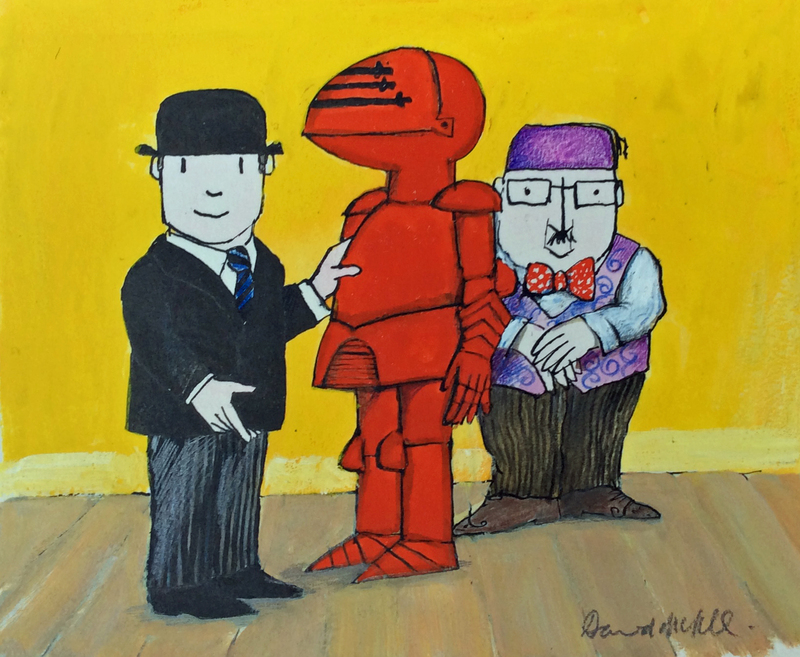 Mr Benn is 50. He’s the everyday hero who escapes from suburbia, a series created, written and animated all by the multi-talented David McKee. In celebration, the Illustration Cupboard in London is showing an exhibition of drawings, paintings and acetates from the TV animation. Here Eliza Williams talks to his creator David McKee. Talking of iconic design – Techcrunch tells us that VW are releasing their microbus, an electric homage to the cool split-screen original 60s bus: “The VW Microbus is about as iconic as they come in the world of automobiles, and the I.D. Buzz is the electric, modern incarnation of that van Volkswagen introduced as a concept back in January. In June, the automaker surprised many by announcing the I.D. Buzz would eventually become a production vehicle, instead of just another concept destined to fade away in the mists of time.” It has a range of 270 miles but a really crap name: ‘I.D. Buzz’? Really? Want. Want. Want. More here. Okay I can’t wait until 2020 and I won’t be able to afford it. 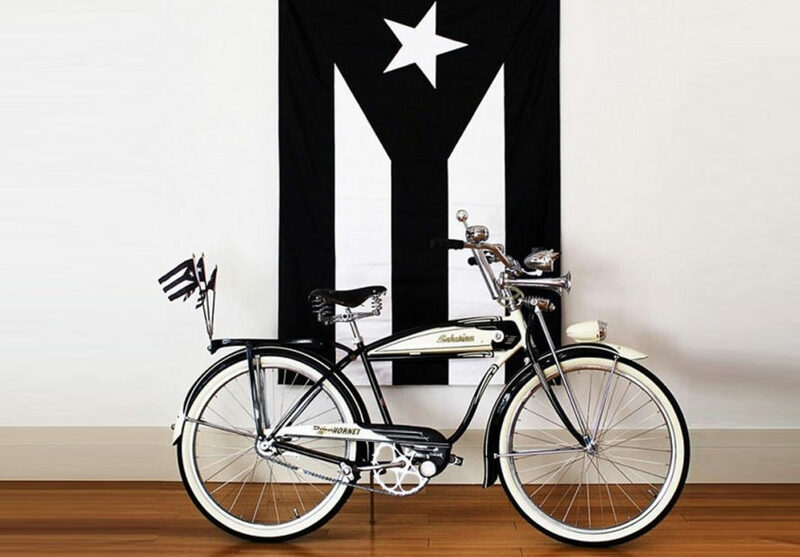 Can I have this vintage retro Puerto Rican bike instead please? If like me you have been getting excited by the Eclipse, then this prototype Orrery Lamp may be just the thing. Described as “a minimal, dimmable Solar System” and a “cosmic perspective for every home” – the lamp is the brainchild of Bobby Genalo, a product designer based in Los Angeles, CA. More details here. You can calibrate the lamp to mirror the Earth and Moons actual positions. 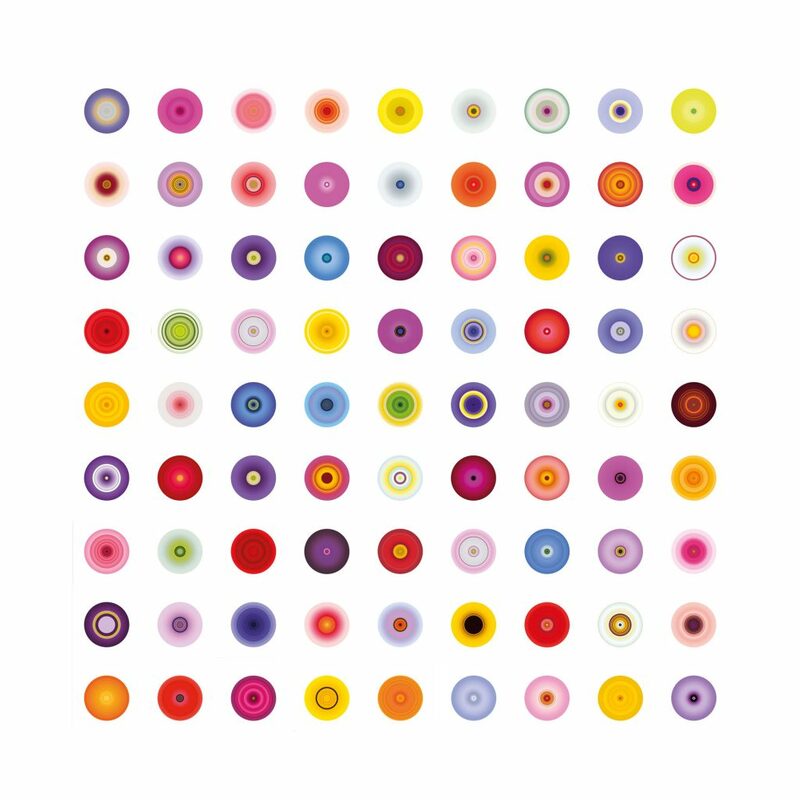 Finally, you gotta love this new project by Giles Revell whose new book and exhibition ‘Cartographic Colour’, deconstructs flowers to reveal the beauty and the complexity of colour in nature. He painstakingly photographs then analyses and abstracts the colour of flowers. Creative Review reports: “Revell takes a series of bouquets, deconstructs them into their most basic building blocks of colour, and reassembles them as graphic abstract compositions. “I’ve tried to strip the flower of the forms that we have constructed around such an icon to see nature’s design and architecture,” Revell says. Thanks to the Ed you can now read all of the Postcard series here.